Fair call, back in the Q2 rocket arena days, the pros favoured joystick/track ball with all the controls on the left-hand joystick (for right-hand dominant players). I could never get the hang of that. I think I've still might have my foot-switch modded keyboard from that period around somewhere. It was hacked into left-alt for jump iirc, and took a lot of strain off my hands. Nowadays you can do a lot better though, check it out. Top one is the bottom of the deep shaft (room is like a giant T). It took me a while to find them, all I could hear was the sound cue, then they popped up like landsharks. They're actually outside the level and can't be shot or hit you. Bottom one is the eponymous (I love that word) gearworks. This little guy got caught in the teeth and couldn't get out. 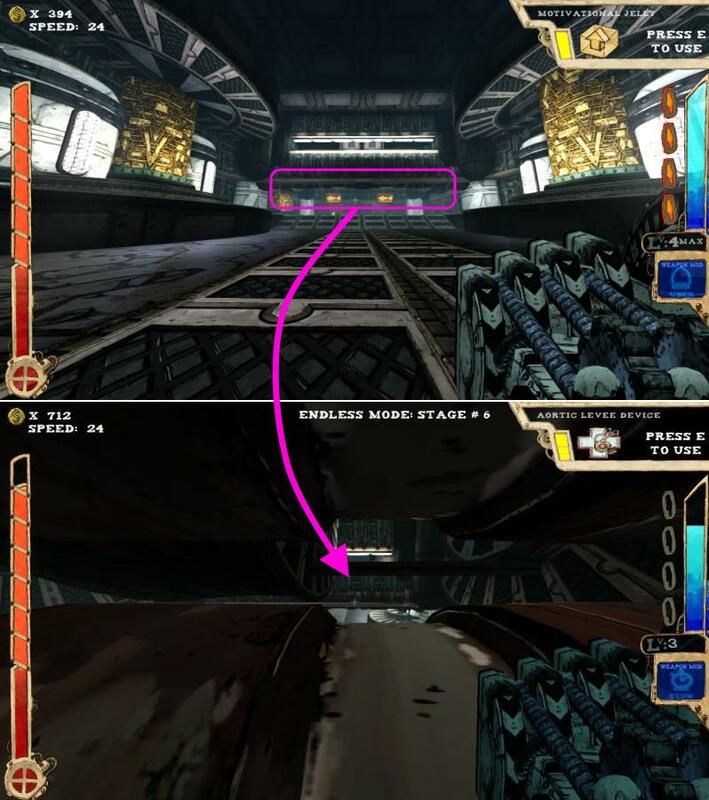 At final room in Logistics (before boss) it's very common for the proximity drones to spawn or get stuck on the lip of the room opposite the entrance. 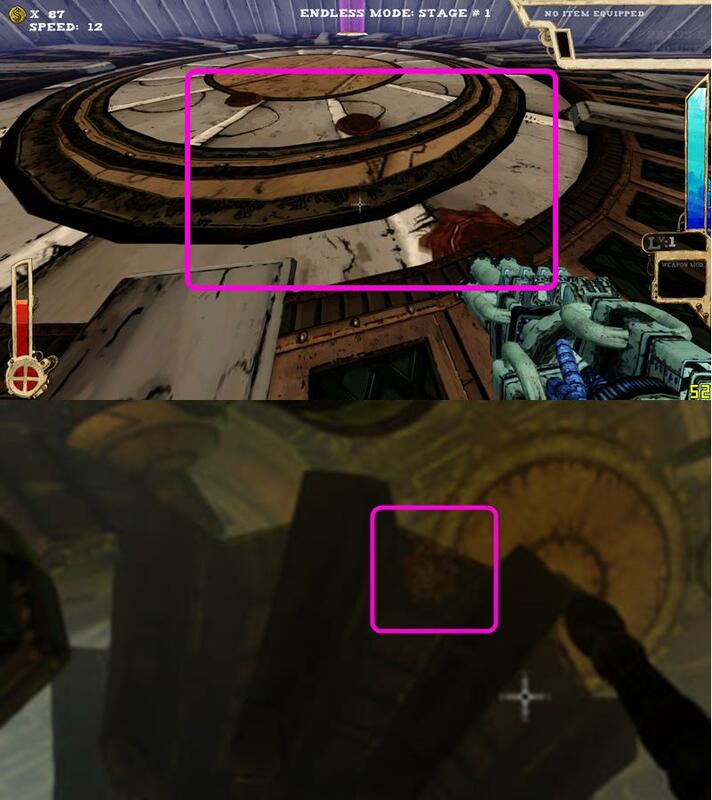 This pic shows it as the section roughly outlined in pink but disregard the arrow, it's talking about jumping up behind the pipes, which is not relevant here. Hmmm...I've been thinking about this mouse1 thing a bit more, and I have a theory about how to possibly have it be completely rebindable. I'm not sure I'll get the chance to try out my theory before the next update though (Nov 15th), but at it might not be *as* hopeless as I initially thought it might be.